My next book on the history of Freemasonry will be out with Lewis Masonic late summer of 2017 and it’s been one of my favourite books to research for a while (I say that about all my books though). The working title is Lost Rites and Rituals of Freemasonry and it examines the lost Masonic Rites of the eighteenth century, Rites such as Cagliostro’s Egyptian Rite, the Rite de Elus Coens and Fratres Lucis, just to name a few. 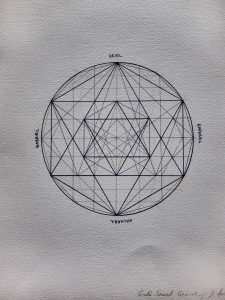 The work looks at the history of these Rites and explores the esoteric aspects to their nature, the charismatic figures behind them and how the search for what was lost developed into an aspect of Freemasonry that we don’t practice any more, at least not in regular Freemasonry. The book also explores the Occult Revival of the late nineteenth century and how certain Occultist Freemasons began to revive certain Orders. This was the era of Martinism, The Swedenborgian Rite and the Ancient and Primitive Rite, and of charismatic figures such as John Yarker, Papus and Arthur Edward Waite. The book also allowed me to examine a number of English Rites, and in particular one rare Rite from the north of England which was written down in a notebook in the mid nineteenth century. A final chapter will also look at how variations of Masonic ritual are being lost as lodges close or merge today, bringing the story up to the modern day period. 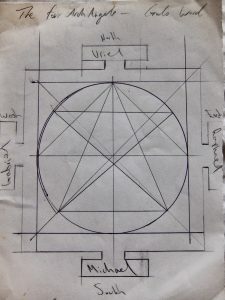 It’s a book that will have 40,000 words, around 30-40 illustrations, some that have not been published for over two centuries, and Lewis Masonic are considering a hard back edition. 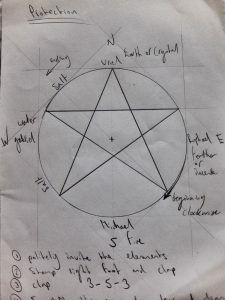 We have been playing around with the cover, and one particular idea was to sketch a number of rough diagrams and symbols that link to the Rites, and to merge them as part of the background of the cover. Here are a number of them, and with the first ten pre-orders, I’m giving away one of the sketches (there are a few left! ).